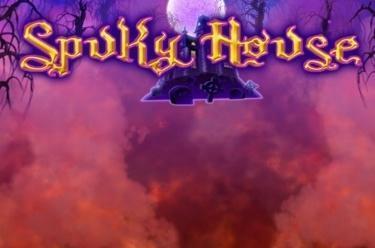 Play Spooky House online for free now! A dense forest full of knotty trees, an ancient ruin that harbours many a secret and a wild witch wreaking havoc at night - this is a plot that's made for winning! Muster your courage at Spooky House and explore 5 reels of terror - well, maybe that's a little exaggerated. But we admit: All 15 reel positions of this slot are haunted by Twists! All you need to do is line up symbols in the right order! Your aim in Spooky House: 5 identical symbols in the right winning sequence. You can play Spooky House with 243 winning paths or with 1, 5, 10 or 20 win lines. You can win the Bonus-Respins-Feature in the regular game or the free game. It is triggered when the witch lands in all 3 positions of a reel. In this case the reel will be stopped and all remaining reels spin again. You can win the Bonus-Respins-Feature again in the current feature. The game is played with the betting multiplier of the triggering game. A Scatter win automatically triggers 15 free games. The rules of the free game feature are determined by your current settings (game with winning paths or win lines). Game with 243 winning paths: All free game winnings will be doubled. You play with the betting multiplier of the triggering game and you can start free games again in the Bonus-Respins-Feature. If you win Bonus-Respins as well as free games during a regular game round you finish playing Bonus-Respins first and free games start afterwards. Game with win lines: All free game winnings will be tripled. 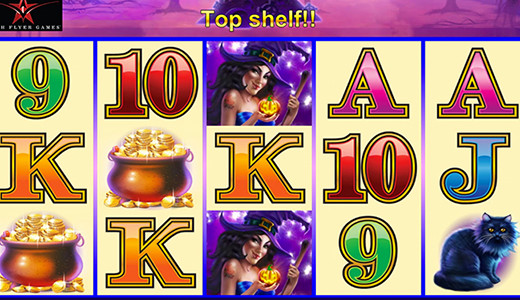 You play with the betting multiplier and line number of the triggering game and you can win further free spins during the current free game.